In a skillet cook carrot, celery and onion in butter until tender but not brown. Stir in sage, salt, cinnamon and ¼ tsp pepper. 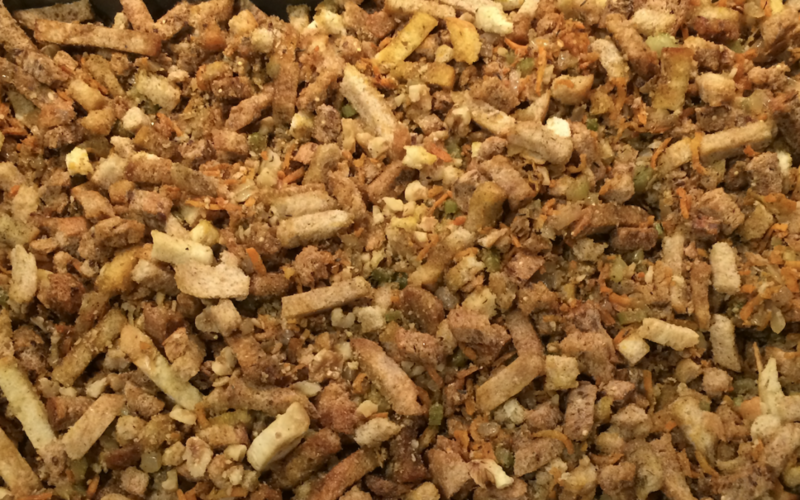 In a large mixing bowl combine bread cubes, apples, walnuts & finally cooked vegetables. Drizzle with enough chicken broth to moisten & toss lightly. Final note: I don’t generally stuff the bird these days. I know, the flavor is incredible when cooked inside. The problem is that by the time the stuffing is at a safe internal temperature, the turkey is often over cooked. Whichever method you choose, have a wonderful Thanksgiving!